without others’ propaganda and lust. where women can move ahead. we sacrifice so much for crimes we do not commit. We cannot even wear light colors. We hide ourselves from the derogatory looks of the profligate. We had to leave our laughter with the past generations. We have no peace even in our own homes. We grieve for our lost happiness. With all of these sacrifices, what more do you want from us? We wanted to be with our own feelings and thoughts. Participate in our community activities. the right that Allah has given to us. We are innocent of these community accusations. Our hearts are so clear you can see our wishes and dreams. That we raised our voices? They have accused us. We are not guilty. because we stood our ground. They injured our souls and feelings. We just stood silent and crying. we can no longer see it. May the next generation of girls be independent. May they be able to live their lives with feelings and ideas. 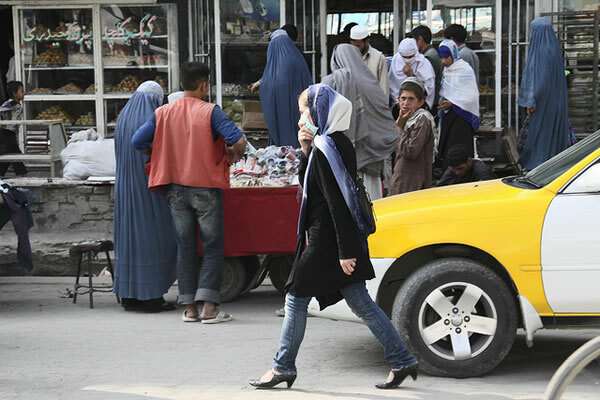 the story of the brave women of Afghanistan. The story of our bravery. The story of our sacrifice and honesty. And may we be remembered. Friba, Your poem is really powerful! My favorite line is “Our hearts are so clear you can see our wishes and dreams.” Keep writing and stay safe. “And may we be remembered.” Friba, dear one, your powerful words have hit my heart. Everyone deserves to breathe, to live, to love, to be creative, to be free, to be safe, to laugh, to have individuality, to speak truth, to share ideas, to respected. My hope for you and your sisters in Afghanistan is to be able to claim all of those things. Sending much love from the midwest of the U.S. Continue crafting the stories that need to be told. Thank you for sharing them. Moving words. Sad that a Beautiful heart has been accused for expressing what is in that heart. Frida, you are a beautiful writer and incredibly strong. Thank you so much for sharing your story, besucase it has helped me to understand not only the oppression in Afghanistan, but also the emotions of the oppressed. I hope that you do not give up on achieving happiness in your lifetime because it is possible through perseverance and your talent for poetry. Never stop standing up for yourself. Words cannot express how moved I am by your generous spirit and extraordinary courage. Keep writing, keep going, don’t stop. . . . . .
Friba jan, I am touched by your poem and I would like to mention that your wishes for the next generation to be independent a pray and the colorful prosper life is a dream that will come true one day. amazing poem it is I wish every girl in Afghanistan is able to read it and feel the care in every word. Thank you for such a beautiful poem. Dear all women from my country and outside of it. thanks a lot from your comments and sharing feelings and thoughts. I am trying keep my writing and sharing with you all. your positive idea encourage me to stand and go ahead .